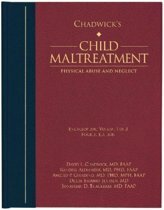 This step-by-step guide will help you identify and manage cases of this unique form of child maltreatment! Munchausen by proxy (MBP) is a dangerous kind of maltreatment in which a caretaker deliberately and repeatedly exaggerates, fabricates, and/or induces a health problem or problems in someone under his or her care. Munchausen by Proxy: Identification, Intervention, and Case Management is the first book to walk you step-by-step through a suspected MBP maltreatment case from suspicion onward. This skills-based, practical book contains a thorough, up-to-date overview of MBP and includes suggestions for identifying and reporting to child protection agencies, investigating and gathering evidence, and legal and court procedures. 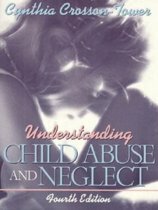 Its easy readability and immediate applicability make this text a valuable tool in identifying and preventing this form of child abuse. Munchausen by Proxy is divided into three parts. The first covers the definition of MBP, the role of the perpetrator and victim, and the ethical issues affecting professionals, patients, and family. Part two addresses case work from initial suspicions through the investigative and confirmation/disconfirmation process. The third section is dedicated to case planning and case management once MBP has been confirmed, including intervention, immediate child protection, and legal activities. Those involved in a suspected or confirmed MBP case will learn about: * the limits of the DSM-IV as applied to MBP * perpetrator-consistent characteristics * the MBP situational suspicion indicators * the inappropriateness of risk assessment tools developed for other forms of maltreatment * the danger when MBP perpetrators realize they are under suspicion * and more! This volume is generously enhanced with case examples, sample forms, figures, and representative management plans. 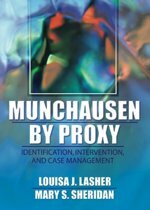 In Munchausen by Proxy, authors Lasher and Sheridan--experts in MBP and child protection--have come together to fill the gap in the libraries of anyone who may become involved with a MBP case. This includes child welfare professionals and staff, law enforcement, school personnel, health care practitioners, judges and lawyers, and social workers.